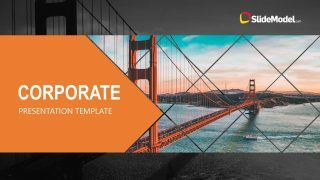 Clean Professional Vertical Layout for PowerPoint is a creative presentation design containing squared elements in a vertical path. 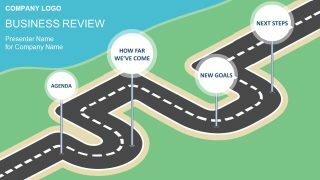 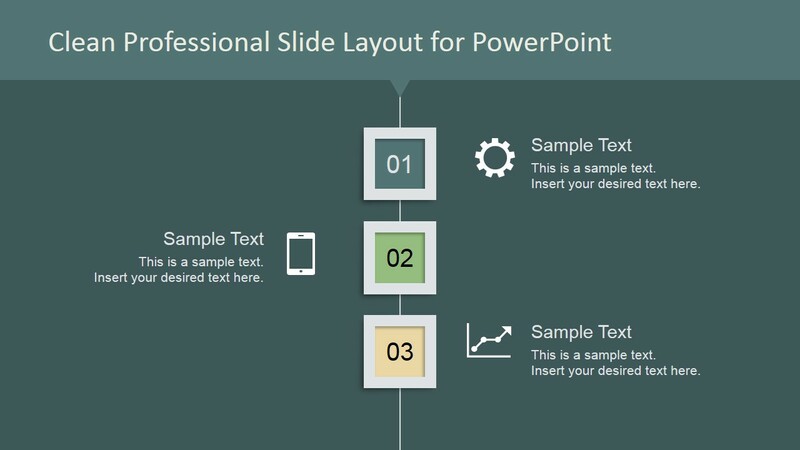 You can use this presentation idea to make creative agenda slides for Microsoft PowerPoint. 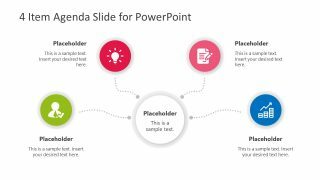 It has space to add up to 10 topics or concepts but easily you can update it to meet your presentation needs. 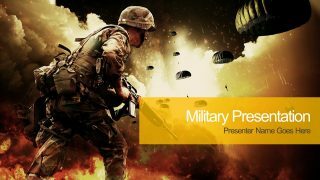 If you only require to present 3 topics or key concepts then you can keep only the first slide. 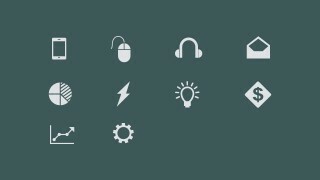 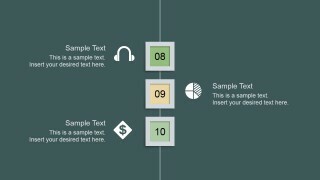 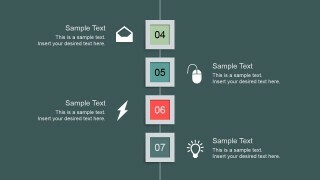 This vertical layout design for PowerPoint has a green palette design but we have used Theme Colors feature in PowerPoint so you can easily switch the current palette to any other color palette.